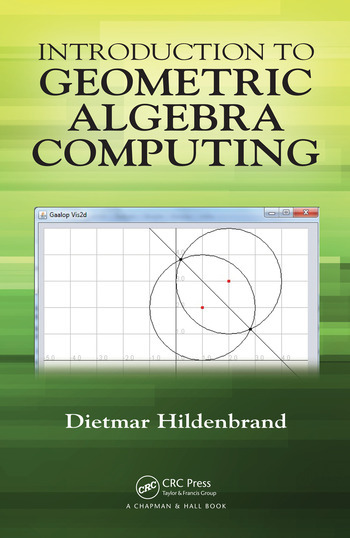 "Dietmar Hildenbrand's new book, Introduction to Geometric Algebra Computing, in my view, fills an important gap in Clifford's geometric algebra literature…I can only congratulate the author for the daring simplicity of his novel educational approach taken in this book, consequently combined with hands on computer based exploration. Without noticing, the active reader will thus educate himself in elementary geometric algebra algorithm development, geometrically intuitive, highly comprehensible, and fully optimized." Geometric Algebra is a very powerful mathematical system for an easy and intuitive treatment of geometry, but the community working with it is still very small. The main goal of this book is to close this gap with an introduction to Geometric Algebra from an engineering/computing perspective. power for geometric modeling. From the geometric objects point of view, it focuses on the most basic ones, namely points, lines and circles. This algebra is called Compass Ruler Algebra, since it is comparable to working with a compass and ruler. The book explores how to compute with these geometric objects, and their geometric operations and transformations, in a very intuitive way. The book follows a top-down approach, and while it focuses on 2D, it is also easily expandable to 3D computations. 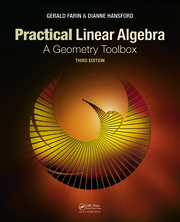 Algebra in engineering applications such as computer graphics, computer vision and robotics are also covered. Dietmar Hildenbrand is a lecturer in Geometric Algebra at TU Darmstadt. 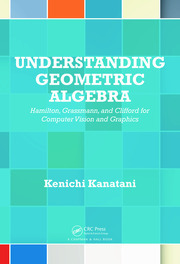 "This book is a hands-on introduction to conformal geometric algebra (CGA) using the GAALOP (Geometric Algebra Algorithms Optimizer) software. It aims at quickly enabling the reader to use CGA and GAALOP for constructions with and transformations of elementary 2D geometric entities (points, lines, circles, and point pairs). Only cursory information on the underlying theory is given. Instead we ?nd numerous code listings and ?gures (unfortunately also some of unsatisfactory quality). Readers who are interested in more background information to CGA computing are referred to [D. Hildenbrand, Foundations of geometric algebra computing. Berlin: Springer (2013; Zbl 1268.65038)]. Section I is a tutorial on 2D CGA (here also called “Compass Ruler Algebra”) and GAALOP. Section II introduces more mathematical concepts and provides geometric interpretations of diverse CGA objects and products. 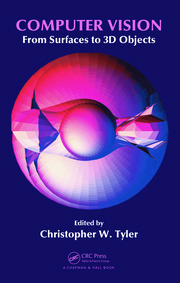 In Section III the author gives application examples of CGA in robotics, image processing, or computational geometry. Even if drawing from serious scienti?c publications, the presentation remains at an elementary level. The end of this section also features a brief introduction to 3D CGA. The ?nal Section IV contains thoughts on the educational values of CGA at high-school level and a reference to D. Hestenes’ pioneering work on application of CGA in physics and its didactics [Space-time algebra. New York-London-Paris: Gordon and Breach Science Publishers (1966; Zbl 183.28901)]. The target audience of this book is readers who want to familiarize themselves quickly with basic concepts of CGA and the GAALOP software and don’t require too much theoretical background. The provided information is su?cient for constructions and computations in elementary geometry but also for educational purposes and certain applications in engineering and computer science."